• To buy and sell an condo equity within a short period of time to take profits is called condo flipping. Some real estate experts have compared the frenzy of condo flipping to the late 1990’s when investors were busy buying and selling dot-com stocks. Miami has one of the most active markets in the country for flipping, because so many condo units are under construction or in the planning stages. Flipping real estate contracts can bring quick bucks, but here is the rub: profits are taxed as ordinary income, not as capital gains, if the buyer’s contract is not held for at least one year. Most developers open resale offices to help buyers sell their units. They sometimes turn a blind eye to owners flipping because they rely on pre construction sales to secure financing. Lenders often require having a certain percentage of units pre-sold before issuing the money needed to build a project. Some developers are becoming more cautious. To avoid flipping, many force buyers to close on the condo or face penalties. However, investors and real estate agents have been able to get around many developer roadblocks by purchasing condo units under the names of other family members or friends. Also, condo flips never appear in the public record because it is done through selling contracts during construction. Some are speculating that investors who sink all their money into pre construction will be the ones who will lose the most money when the market is flooded with thousands of condo units in the next few years. Many may default on their mortgages or sell for a loss. Experts are saying that if the market declines, Miami may again be at the center of a condo bust. There are more than 64,000 condo units under construction or in the planning stages, according to the city’s monthly development report. There were 11,000 units under construction, 23,000 approved and 30,000 in the preliminary or application phase. Fort Lauderdale has 6,000 new condos planned for its downtown and West Palm Beach will add 6,000 new units to their downtown and along the Flagler corridor. Also, apartment buildings being converted to condominiums will add thousands more units to the South Florida condo market. Questions or concerns regarding condo flipping will be responded to with immediacy. 4 Responses to "Condo Flipping"
Nice article. I know you wrote this a couple of months ago.. I dug it up in my archives..
How is the hot properties section coming along? Are you and Michelle okay from the hurricane. We are up and running full throtal in the office..
Nice article and nice piece of advice. I like it. Thanks a lot to Gus who gave this. Construction of these condominium units requires that developers provide a small percentage of condos under a purchase commitment prior to the end of the development period. Early birds buy and sell their properties more expensively before closing the deal on the investment. That is condo flipping.Although this is allowed, condo flipping comes with limitations as well. Developers or contractors are preventing buyers to resell the units before the closing of the property. However, for some individual purchasers, developers can waive the contract.This is highly tentative. 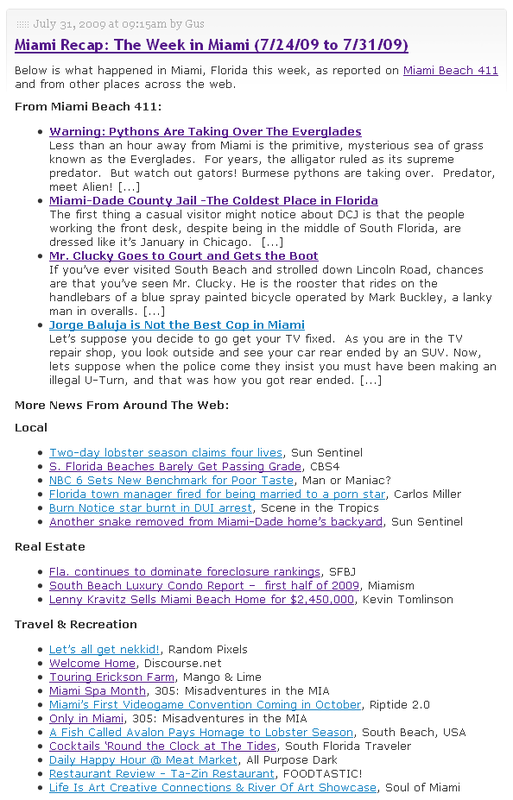 Because when a contract is flipped, the condo unit is resold for an amount of money so the buyer is paying for monthly dues on a piece of a condominium property that doesn’t even exist.The usual occupants of Miami are the number of bar hopping groups of individuals on different nightclubs and bars every Saturday night. But one sure reason why people are lining up in the streets of Miami is because of the attractive real estate offers. This has been going on for three years now in the city where investors patiently wait for the perfect property they can call their own. Pineapple Grove Village for instance, which is located in Delray Beach Florida, was advertised as the home close to the beach. It certainly generated a buzz but in reality, the village is twelve blocks far from the beach. Still, buyers were eager to pay $350,000 for a single bedroom unit and up to $800,000 for a three bedroom one.This is just one perfect example of the flourishing market in real estate in Miami, Florida. A lot of the condo buyers in the area were more interested in flipping the units or even bigger properties in a short span of time after buying to make a remarkable profit rather than live in the area.